Everything related to the uGFX-Studio goes here. uGFX-Studio can support .ico file type? 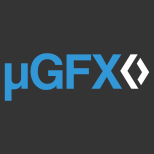 Hi, if uGFX-Studio can get the source code ? how can i get the user guide of studio?